(Natural News) Glass is not a material typically associated with dental hygiene. Yet a team of researchers from Queen Mary University of London’s (QMUL) Institute of Dentistry is working on changing that. According to ScienceDaily.com, the researchers have developed a fast-dissolving “bioactive” glass that they’re putting in toothpaste called “BioMinC”, a new toothpaste that repairs decayed teeth. The toothpaste is an offshoot of their earlier product, “BioMinF” toothpaste. The key differences between these toothpastes is that the major component in BioMinF is fluoride-containing glass, while BioMinC has chlorine-containing glass. Compared to BioMinF, BioMinC has a more reactive glass and promotes formation of apatite at a more rapid pace. BioMinC works by forming a coating of crystalline hydroxyapatite, a chemical that serves as both a major component and important ingredient in normal teeth and bones. Hydroxyapatite normally gives bones and teeth their structure, while the hydroxyapatite in BioMinC imitates bone and teeth mineral to return lost minerals to decayed teeth. In addition to remineralizing teeth, another major benefit of BioMinC is that it can occlude patent dentinal tubules, which are minuscule canals in teeth that can detect stimuli and lead to hypersensitivity when teeth enamel are worn down. BioMinC decreases the risk of hypersensitivity by slipping into the tiny cracks of the teeth and breaks down upon contact with acid before the enamel does, in turn making the teeth all the more resistant to acidic foods and beverages. BioMinC will become available by the end of this year. It will be sold under the team’s spin-out company, BioMin Technologies Ltd., and the price is to be determined. Limit your intake of sugary and starchy foods – Nearly everyone knows this by now but it bears repeating: going overboard on candy and sugar is a gateway too tooth decay. This is because sugar feeds the mouth bacteria that generate enamel-weakening and tooth-damaging acids. These acids then begin the demineralization process, and the mouth can take well over an hour before it returns to its normal, non-acidic pH state. These same bacteria consume the fermentable carbohydrates found in breads, crackers, and other starchy foods, so be wary of these as well. Floss everyday – Your toothbrush can’t clean every tight space between your teeth. These hard-to-reach areas are highly vulnerable to plaque build-up which can then become gum disease in the long run. Flossing prevents this from happening by stirring up the bacterial colonies occupying those tight spaces and making them less dangerous. Use a soft-bristled toothbrush – A hard-bristled toothbrush may be good at removing plaque and stains from our teeth, but it can also wear down the enamel that protect our teeth from harmful bacteria. 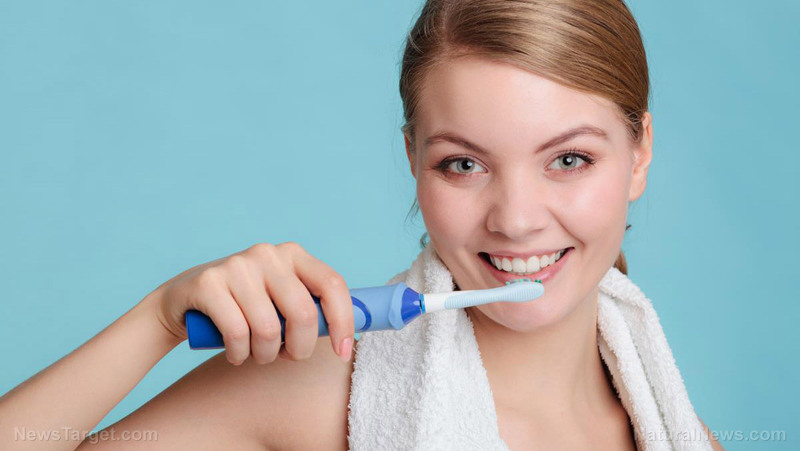 Moreover, hard-bristled toothbrushes can actually damage our gums too and cause them to recede, making our teeth more susceptible to sensitivity and cavities. You won’t have to worry about any of these when you use soft-bristled toothbrush. While they do wear down quicker than hard-bristled toothbrushes, it’s recommended that you change your toothbrush every three to four months anyway. Brush your tongue – Your tongue may not be prone to cavities, but its rough surface is the perfect breeding ground for bad bacteria. Simply using mouthwash won’t kill the bacteria since doing this only gets rid of the outer cells of the bacteria and not the cells they need to survive. Brushing your tongue will do what mouthwash can’t. Visit Dentistry.news for more tricks on how to achieve perfect oral health, or for more updates on the world of dental care.